Babies need plenty of blankets for crib, carriage and play, and this one is a very easy and quick knit. 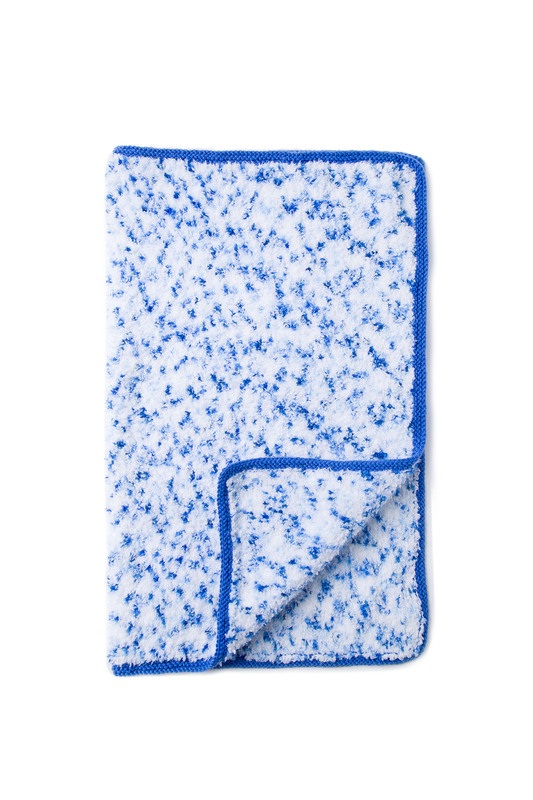 We love it in the Blue Spot colorway of Baby Smiles Lenja Soft, with its cuddly texture reminiscent of terry cloth but so much softer. For the contrast edging choose from Baby Smiles Merino Mix, Baby Smiles Super Soft or Baby Smiles Bravo Baby 135, all the Baby Smiles yarns will be extra soft on your baby’s skin, chemical free and easy care. One size approximately 22 x 29 inches (57 x 73 cm).